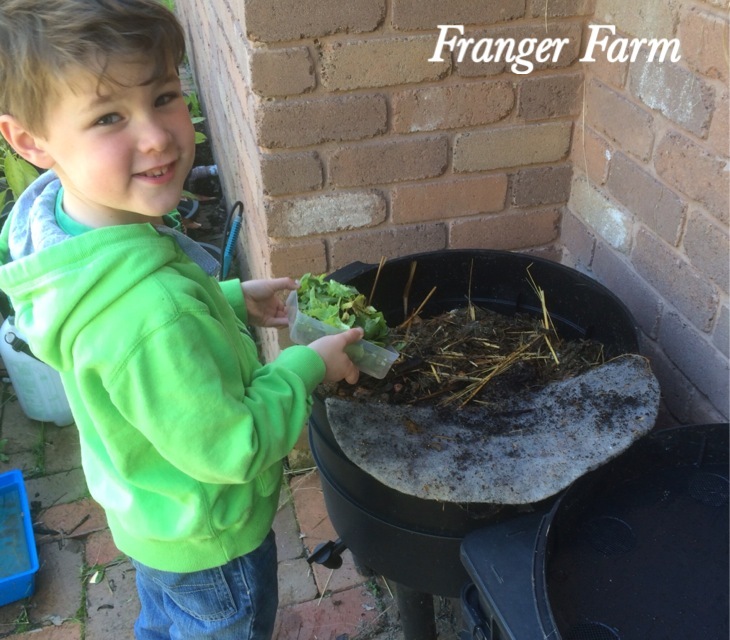 A worm farm is an easy way to process your kitchen scraps and to reduce the amount you’re throwing into your rubbish bin every day. You’ll also benefit from the great fertilizer the worms produce for you as a little bonus gift. becoming a worm farmer couldn’t be simpler, especially if you choose to buy a ready made farm as we have. There are also plenty of plans to build you own out there on line, if you fancy giving it a go. The worm farm should be placed somewhere out of direct sunlight and rain, as worms can be killed by high temperatures and you don’t want to get too much water into the farm. 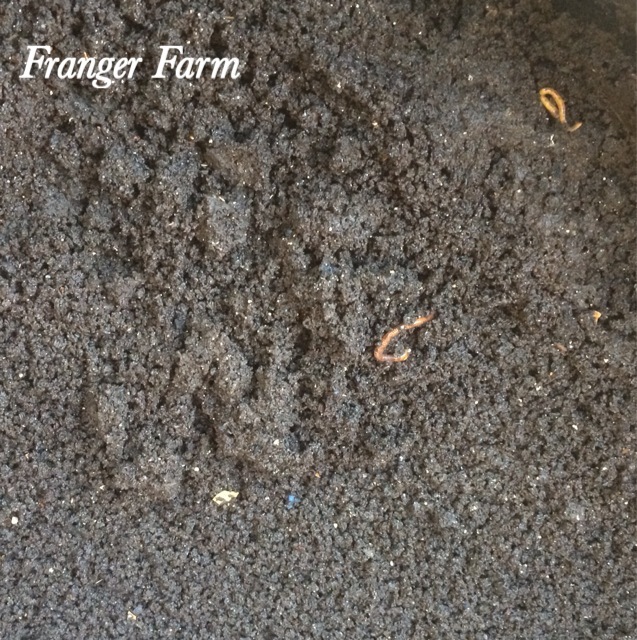 Once you’ve installed your worms in your farm, you should begin by feeing them a small amount every few days. 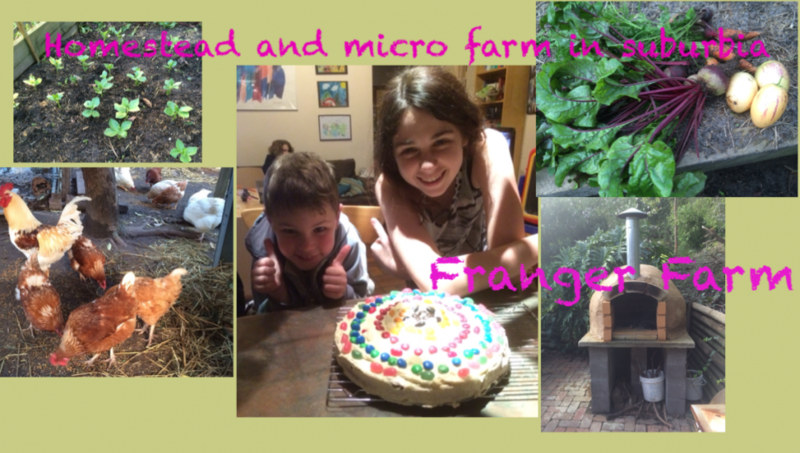 Don’t be tempted to feed them too much too soon or the food scraps will sit for too long in the worm farm and begin to smell and attract flies. once the worms start to breed and increase in numbers, you can increase the amount you’re feeding them. 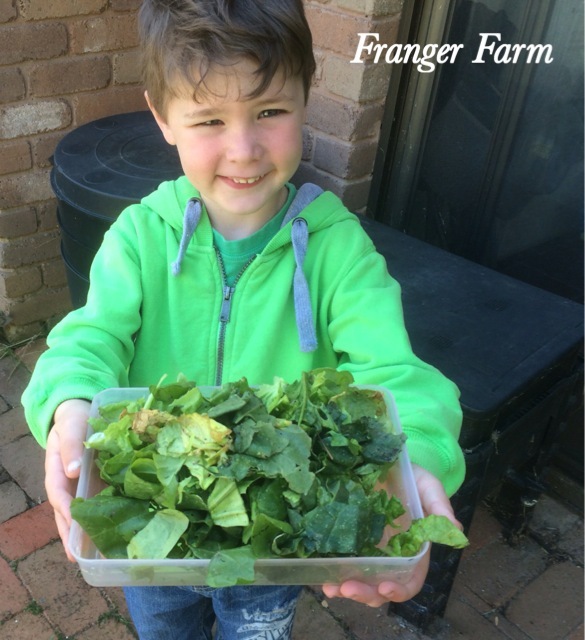 Today’s delicious offerings, spinach and lettuce. There are a few rules about what you can feed your worms. It’s ok to feed them scraps of fruit and veg, newspaper and cardboard, crushed eggshells and teabags and coffee grounds. worms don’t like to eat citrus or onions, chilli or garlic. you should never put meat or bones into your worm farm. It helps the worms digest the food more quickly if you cut it up first. You’ll get two types of fertilizer from your worm farm, the first is the liquid, or worm wee that collects in the bottom level of the farm, it can be drained out via the tap and should be diluted until it’s the colour of tea before being used on your plants, it’s great for leafy greens. 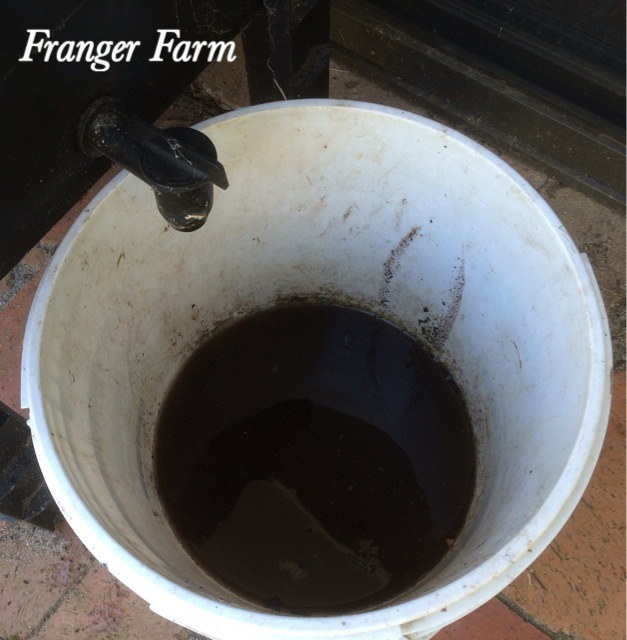 The second fertilizer is the worm poo, or castings, this is solid and can be taken from the farm every few months. The castings can be added direct to the soil or to pots or can be added to water to make a liquid fertilizer. 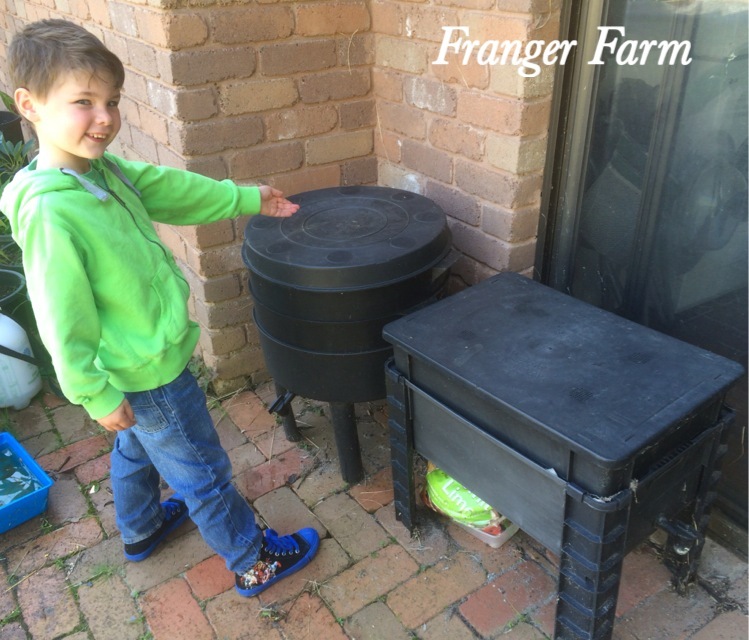 This is such a great way to reduce your household waste and produce fertilizer for you garden, everyone should give it a go.